According to NBC News, despite the strong objections of the FBI and Justice Department, the House Intelligence Committee on Friday released the Republican-written memo, which alleges missteps by the FBI regarding surveillance of one of Trump's campaign aides during the 2016 campaign. The committee's move came after Trump approved the release of the memo without redactions. The memo was prepared by Rep. Devin Nunes, R-Calif., who is the chairman of the House Intelligence Committee. The three-and-a-half-page memo is a critique of the FBI's application for surveillance authority before the Federal Intelligence Surveillance Act (FISA) Court, which allowed the FBI to conduct secret surveillance on a Trump campaign aide, Carter Page. The Democrats said it was "telling" that Nunes "put out this memo without bothering to read the underlying materials, and that he ordered changes to the document without informing his own committee members." They added that its release also shows a "terrible lapse" in leadership by House Speaker Paul Ryan. GOP Sen. John McCain criticized the release of this Memo. Some other GOP Representatives and GOP Senators have also counter this relaese of the GOP Memo. But today President Trump says the Surveillance Memo vindicates him in Russia probe. 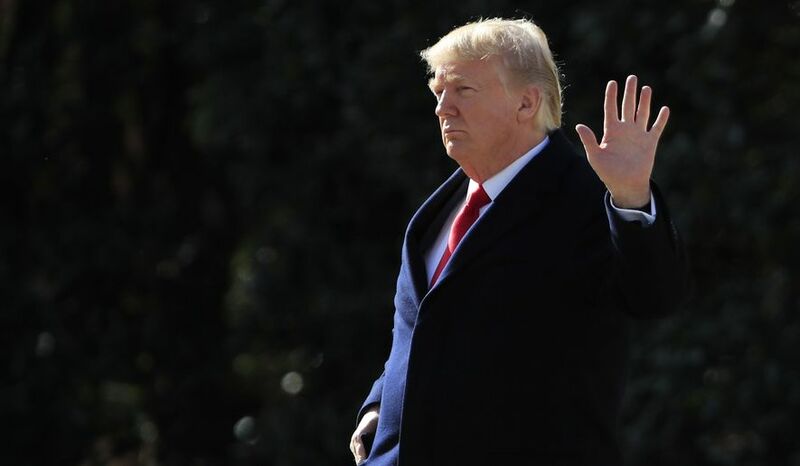 President Trump said Saturday that a memo on FBI surveillance abuses released by House Republicans “totally vindicates” him in the investigation into Russian meddling and collusion in the 2016 election. “This is an American disgrace!” Mr. Trump said. Special counsel Robert Mueller reportedly is focusing on possible obstruction of justice, including Mr. Trump’s firing last year of FBI Director James B. Comey. The president gave his views on the matter a day after Republicans on the House Intelligence Committee released the four-page memo detailing the FBI’s reliance on a partisan, anti-Trump dossier funded by Hillary Clinton’s campaign to apply for surveillance warrants against a Trump campaign aide in 2016. Top FBI and Justice Department officials didn’t fully inform the secret court that authorizes surveillance about the partisan connections of the dossier, the memo said. Nearly a year ago, Mr. Trump was the target of ridicule on the left for accusing former President Barack Obama of wiretapping Trump Tower during the presidential campaign. “Just found out that Obama had my “wires tapped” in Trump Tower just before the victory. Nothing found. This is McCarthyism!” the president said in March 2017. The Republicans’ memo also confirmed, however, that the FBI’s Russia probe had been started before the surveillance of Trump campaign aide Carter Page. It shows that the FBI opened the investigation in July 2016 to examine contacts between Trump campaign adviser George Papadopoulos and Russian representatives. After the memo was released Friday, Mr. Trump told reporters that the FBI’s conduct was a “disgrace.” He refused to say whether he had confidence in Deputy Attorney General Rod Rosenstein, who signed at least one of the surveillance applications and later appointed Mr. Mueller to investigate the Russia allegations.